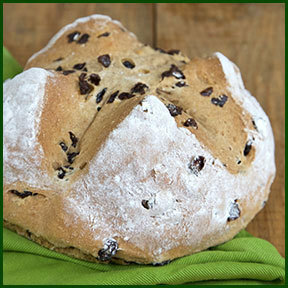 We're baking traditional, handcrafted Irish Soda Bread in celebration of St. Patricks Day! a hot cup 'o tea! We're so sure you'll love it, with any purchase of an Irish Soda Bread, receive a FREE GOODIE! Scroll down to get your coupon. CLICK HERE TO GET YOUR FREE GOODIE COUPON!